Recently I played Tom Clancy's The Division PC version in their Beta. I liked what I played and I was intrigued. Just the game I was looking for to play with my cousin. RPG elements with action in a wide open New York City map. After playing the Beta I ended up pre-ordering the Xbox One version (easier to play with my cousin on the Xbox One). So in a way I kind of used the Beta as a demo to gauge if I wanted to pick this up when it comes out March 8th. As far as how it played, Tom Clancy's The Division is a third person action shooter with RPG elements. One of the most impressive thing is how they managed to have no loading screens. I was able to walk into a building and after exploring right back out with not one loading screen. I also liked the fact that you can mix and match the skills as you see fit, though the Beta only had a limited set to play with. The combat felt very solid, with an almost Gears of War type of style of third person shooting and cover system. I was also very interested in the story that they presented in the short Beta play time. I wanted to learn more about what is happening and what role I'll be playing. One of the other big things for me is the fact that this is a co-op game with PVP elements. You can play with up to three of your friends. I liked that part a lot, but I don't know how I feel about the PVP part of the game yet. It seems like it will be to much of a wild west, but it may turn out to be fun. I am just hoping this game turns out to be the co-op game I have been searching for to play with my cousin and friends. 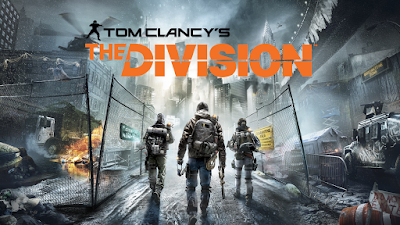 Can't wait to dive into The Division once it releases March 8th. I also plan to have a full review of the game later in March or early April.